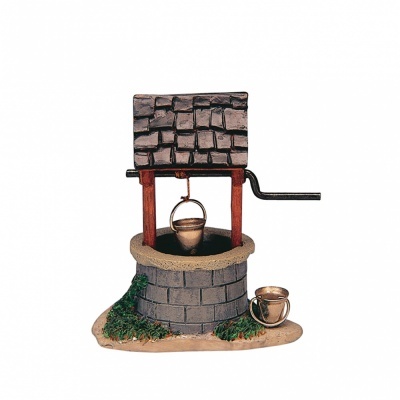 Lemax Water Well Accessory depicts a traditional stone walled hand turned village well with water pales. Suitable for individual placement in a Lemax themed village setting. A Lemax Village miniature accessory which joined the Lemax Harvest Crossing miniatures collection in 2003. Lemax Water Well is an individual resin hand painted miniature piece to compliment your seasonal Lemax Village display.